Tired of watching your brown spots, red spots or rosacea get darker and more pronounced? Or do you just want healthier, even-toned skin? Now you can have the spot-free skin of your youth*. Ellan Laser MedSpa can show you how! Virtually no down-time and a 30 minute IPL or Vbeam skin rejuvenation procedure is all you need*. This procedure can be done on the face, neck, chest, hands or virtually any other part of the body. 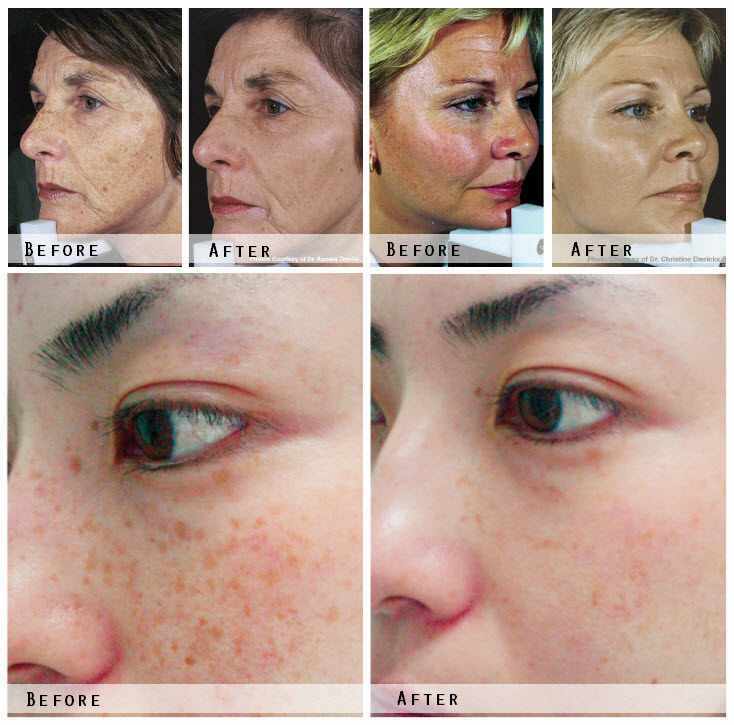 The IPL (Intense Pulse Light) skin rejuvenation targets both brown and red spots in the skin. For red spots (or rosacea), it works by heating the hemoglobin in the targeted area causing the vessels to collapse (which the body naturally absorbs). For brown spots (or age spots), it works by heating and diffusing the melanin in the targeted area causing the body to produce new cells in place of the damaged ones. The procedure leaves your skin healthy and renewed*. The IPL skin rejuvenation procedure is safe and effective for almost all skin types and its results are permanent*. The Vbeam uses pulse dye laser and similarly targets the blood vessels or the melanin in the pigmented areas resulting in more even skin tone*. The Vbeam laser is safe and effective on all skin types. Each person responds differently, depending on the size and severity of the area being treated. However, most patients are satisfied with their results after 2 to 3 treatments*. Contact Ellan Laser MedSpa today to set up your free consultation! Depending on your condition and goals, Dr. Burghli may recommend other treatments which complement your results. These include Vitalize Peels, Fractional Skin Rejuvenation, or HydraFacial MD..